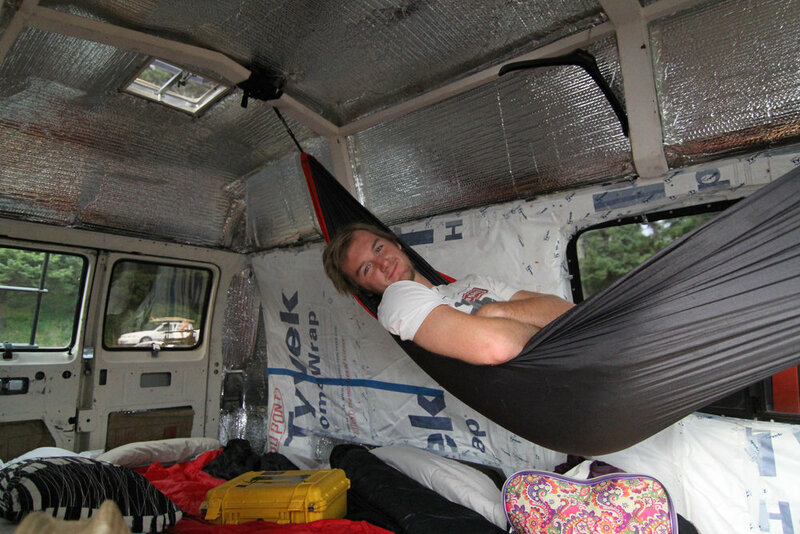 It was always a life long dream since I can remember to buy an old van and turn it into an adventure mobile. I dreamed of traveling across the states and beyond exploring old dirt roads and hidden coastlines in search of waves and adventure. In 2014 my childhood dream began to come true as I found myself with a one way ticket to Boise, Idaho to check out a Craigslist treasure. After contemplating the find over an afternoon full of drives I handed the man his money in trade for his van and began the trek back to Portland with my new found happiness. 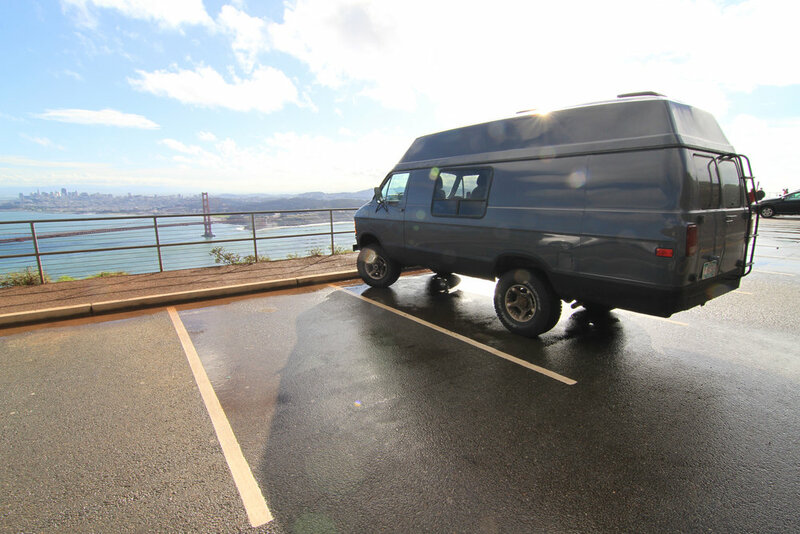 The adventure home seemed too easy, this old 84' van was a tank that just kept rolling until I hit Troutdale and my first "van life" moment was dubbed upon me. My instincts began to doubt my decision but I would soon come to realize moments like those are everything van life is. If you have an old van you can relate, it's the moments when the old vans give you trouble that you find yourself lost in learning about your machine and "McGyvering" until you figure it out. It's somewhat therapeutic, frustrating and empowering all at once. I eventually made it home and was already beginning the process of finding out everything there was to know about my new (old) van. When I brought my van home to my wife (girlfriend at the time) she told me she thought we should name the van Bam Bam I could not imagine naming it anything else. He has encompassed his own personality through the name and our friends and family talk about him more like a family member then an old Dodge van. 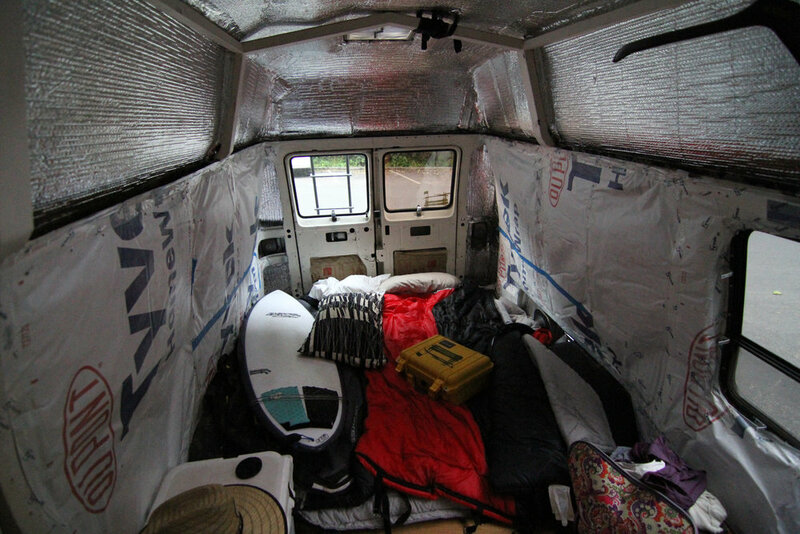 The build out began almost immediately as the old owner had pink neoprene camo seat covers, saucy cheetah bedding and Tyvek insulation that was fully uncovered and acting as the side walls of the van. We also encountered several (massive) leaks in the roof after a trip down 101 to California, during one of wettest winters on record, so a simple interior build out turned into a complete overhaul. We chopped the hightop off the van and began re-welding the full gutter line, re-fiberglassing the top, and then attaching and sealing the top correctly, and giving its hat a fresh coat of paint. From that point we could begin the fun part of the build. 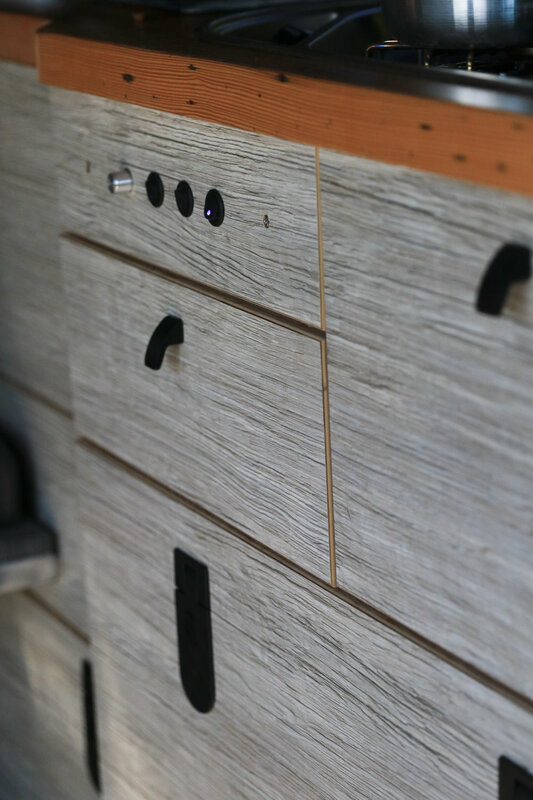 Here is a list of everything that I ended up doing throughout the Bam Bam build out. I needed some help from the best in sourcing material for the build so I headed to Van Specialties and bugged the owner one too many times that he figured the only way to get rid of me was to lend me some old school van knowledge. I was able to pick the best flooring, fabric and fixtures to make Bam Bam last another 34 years with no problem. Bam Bam is quite the trooper now and we've been able to take him on several trips while working out the remainder of the kinks. He has turned into an amazing mobile shelter allowing us to work and play comfortably from anywhere. There are more changes ahead and we will keep you updated when that time comes, but for now lets give a "Cheers" to Bam Bam.